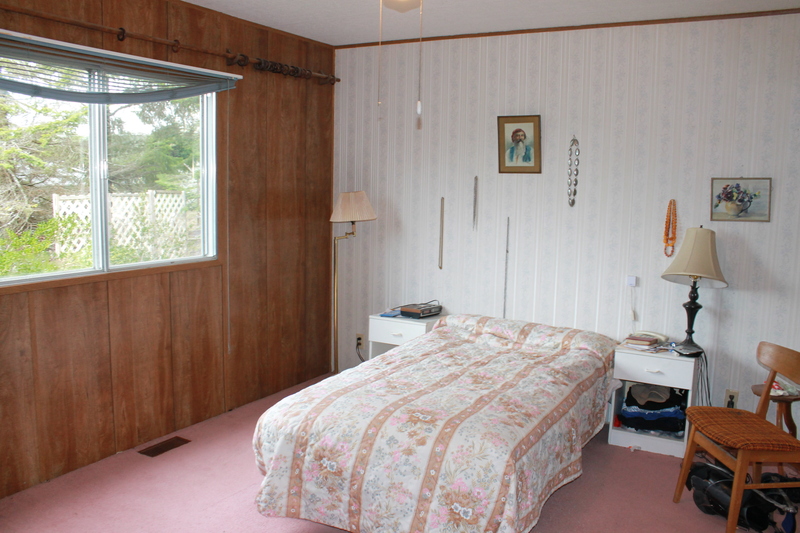 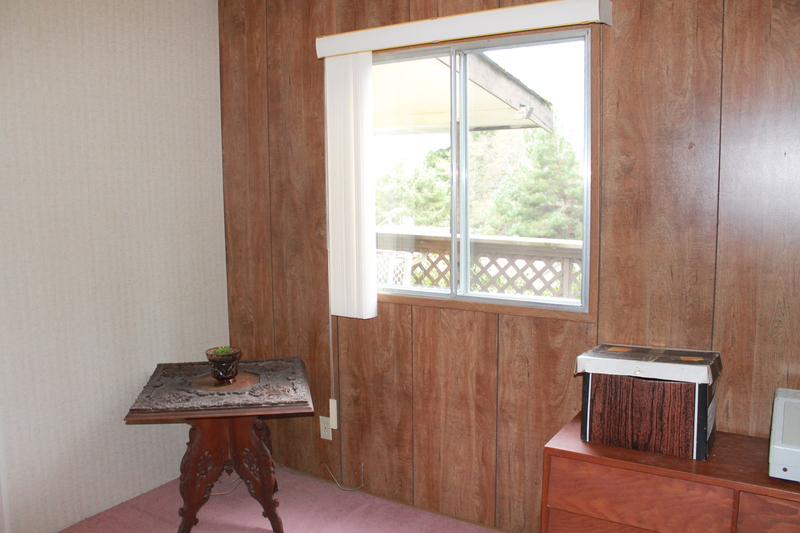 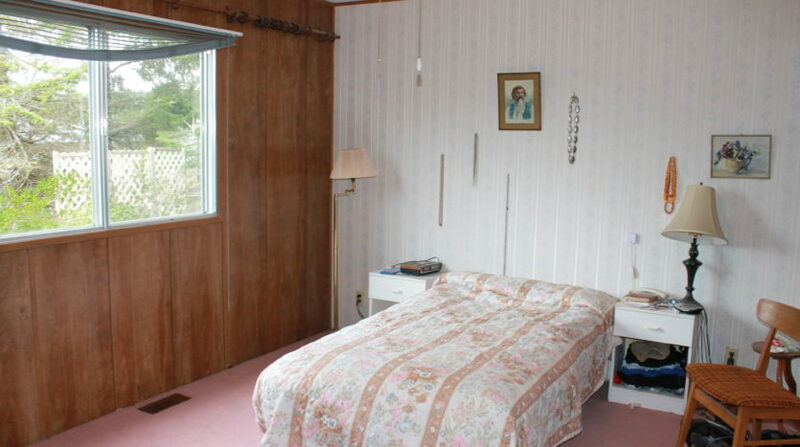 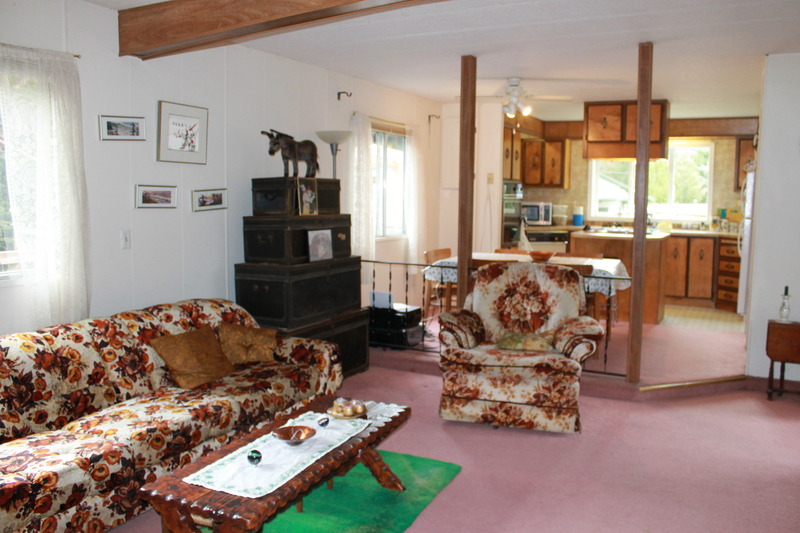 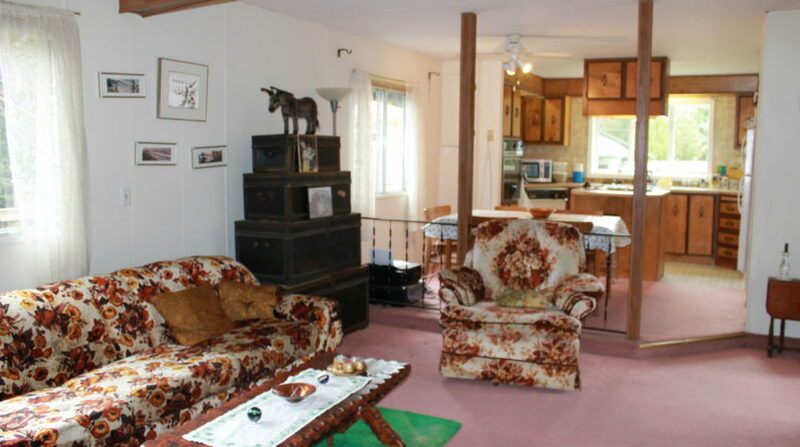 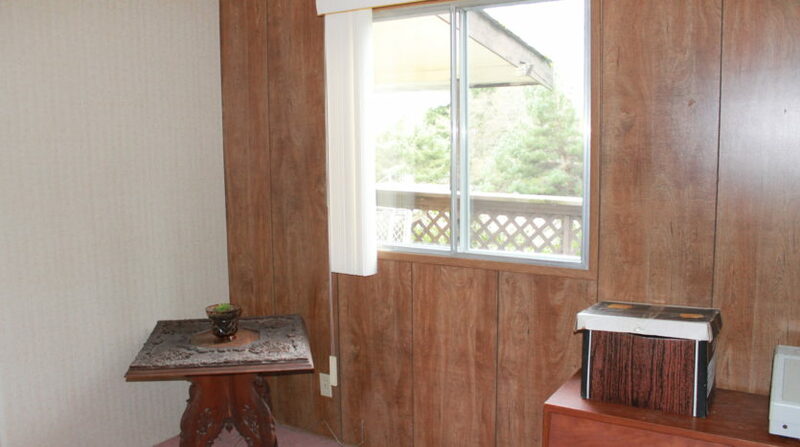 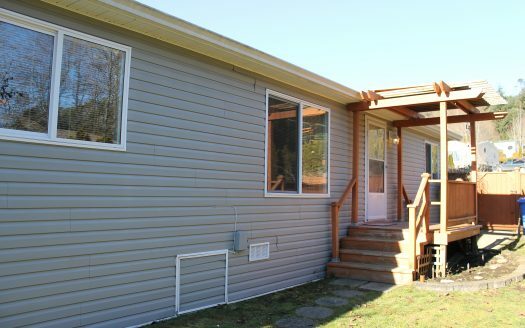 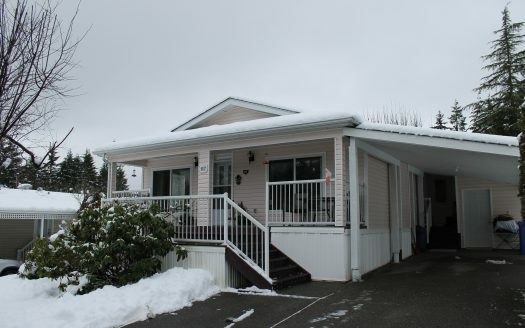 This 1120 sq ft home with 2 bedrooms & 1 bathroom is located in the adult section of Burnum Mobile Park. 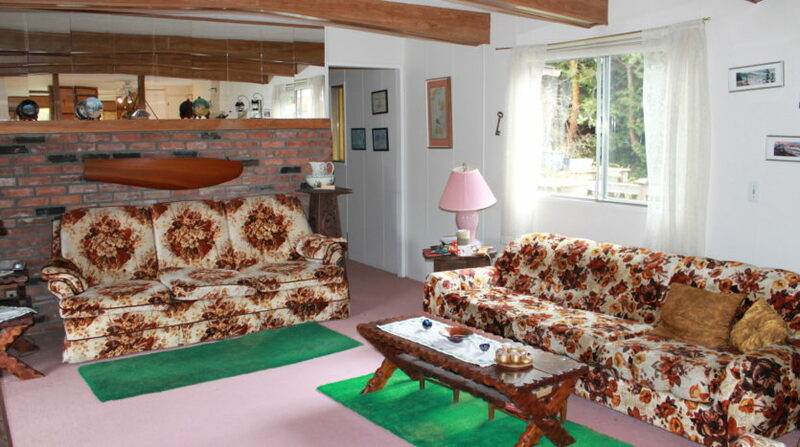 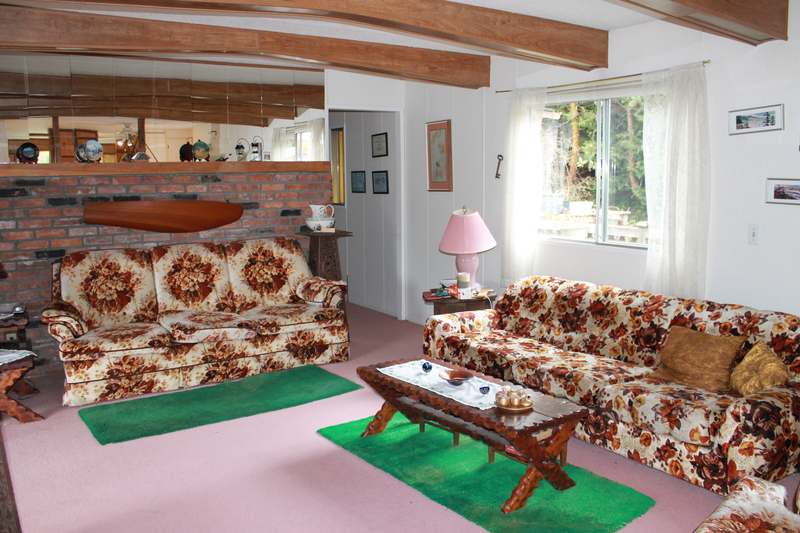 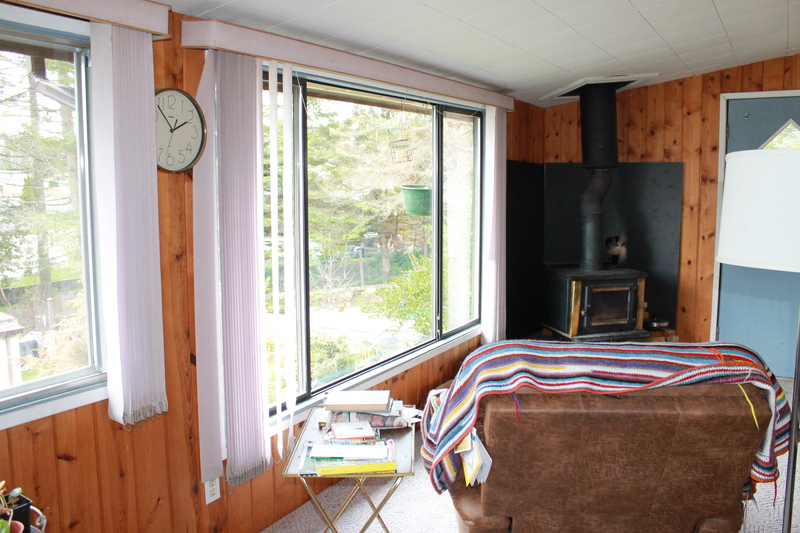 Great open plan layout with lots of windows to allow in the light & enjoy the mountain views. 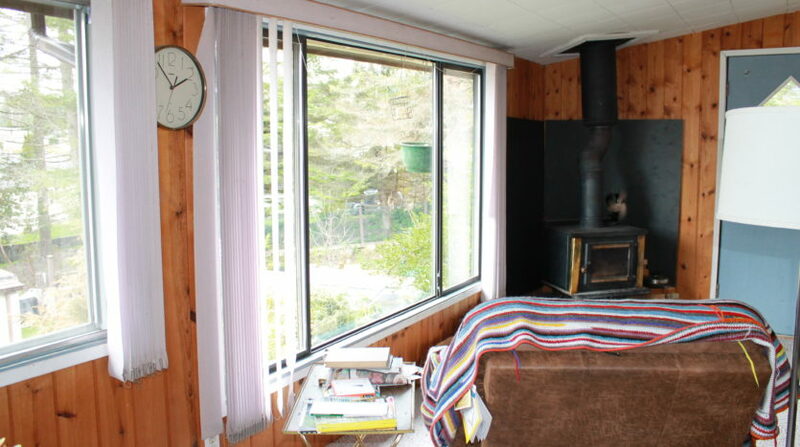 The cozy woodstove keeps this place nice and warm. 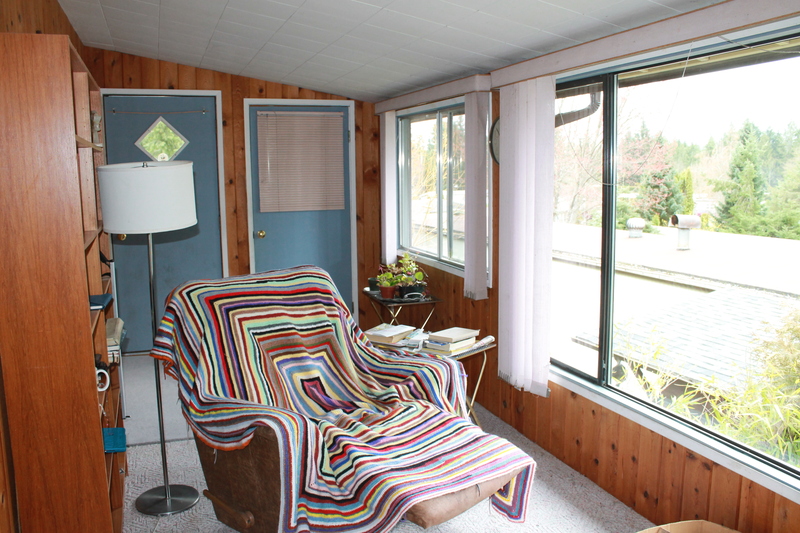 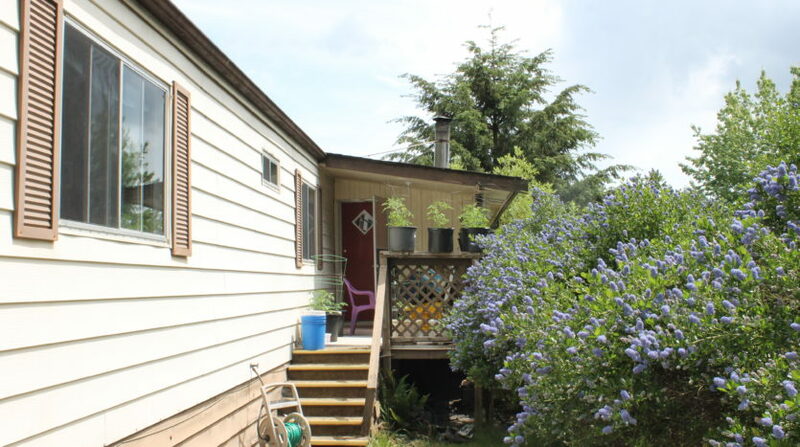 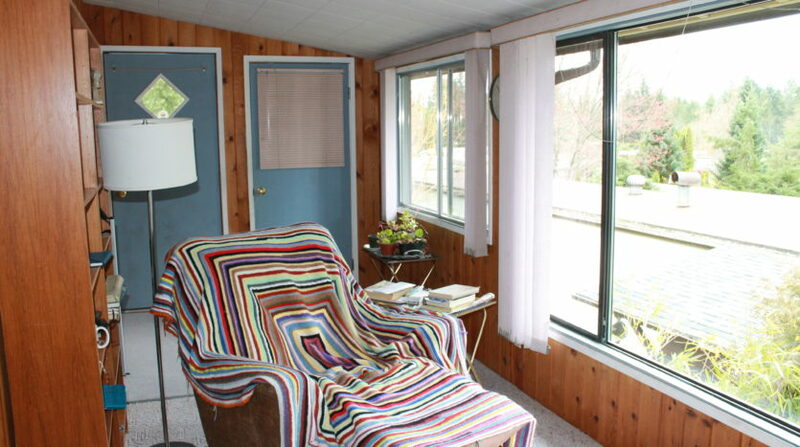 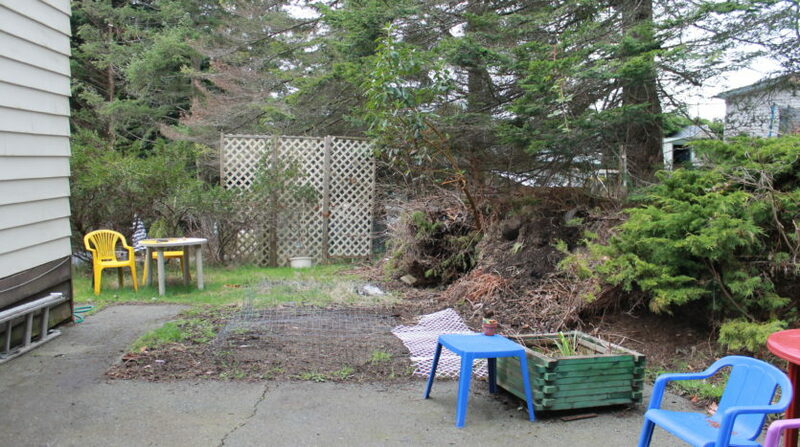 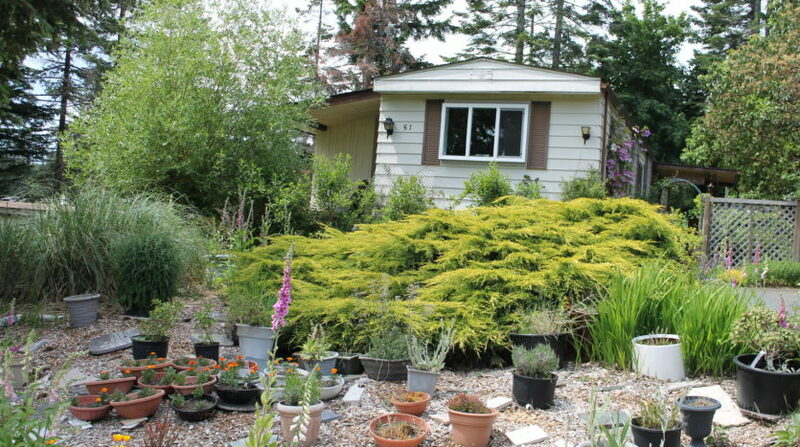 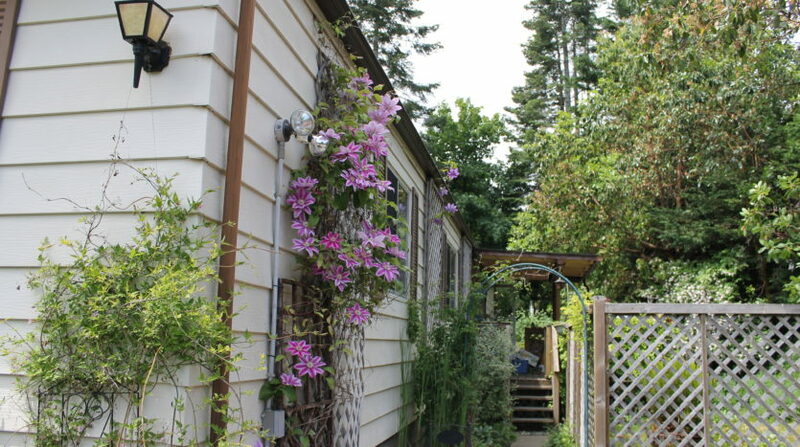 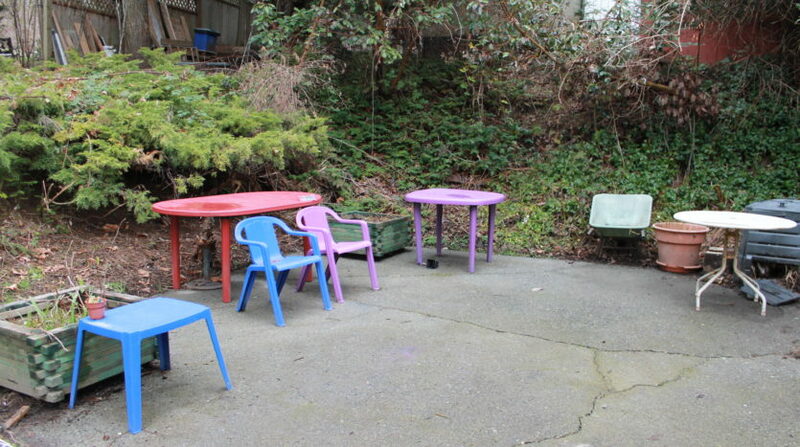 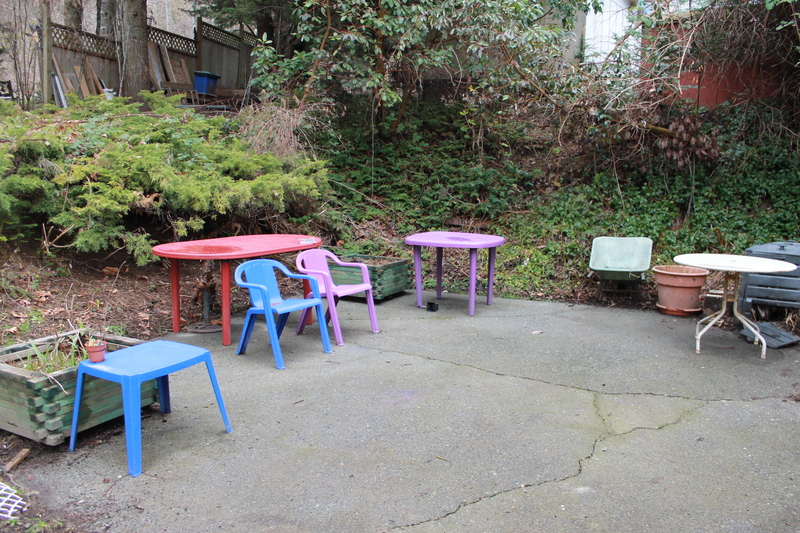 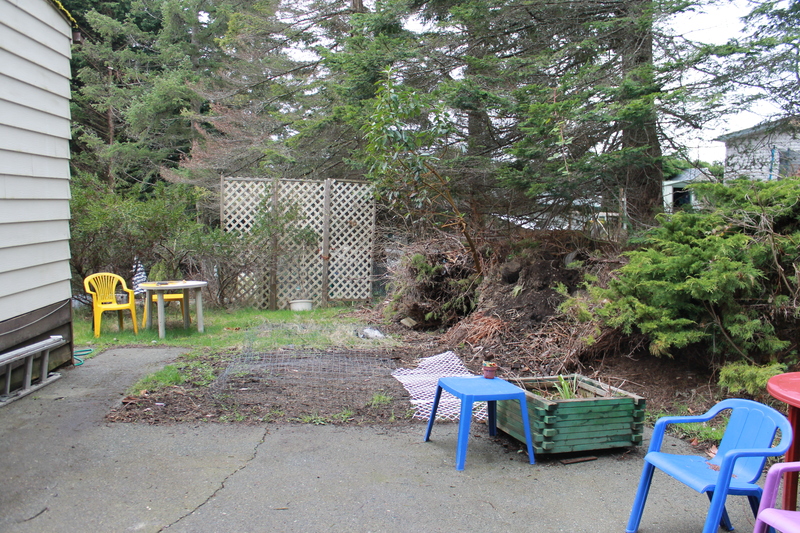 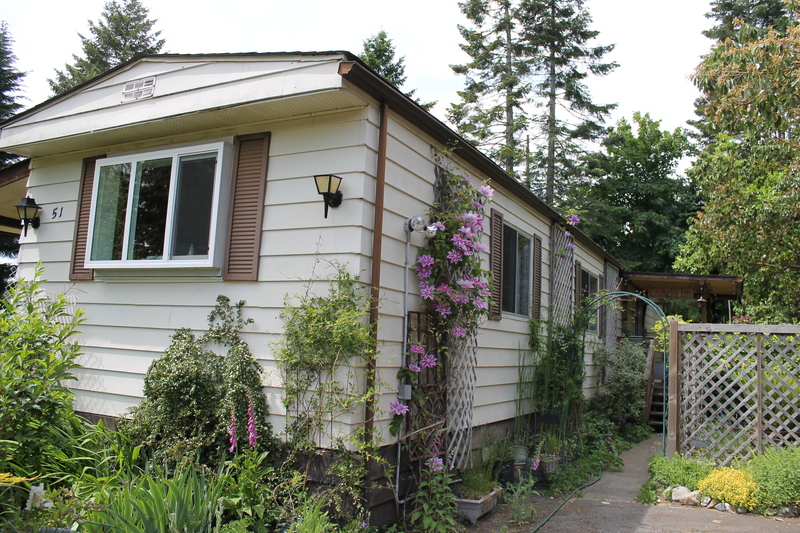 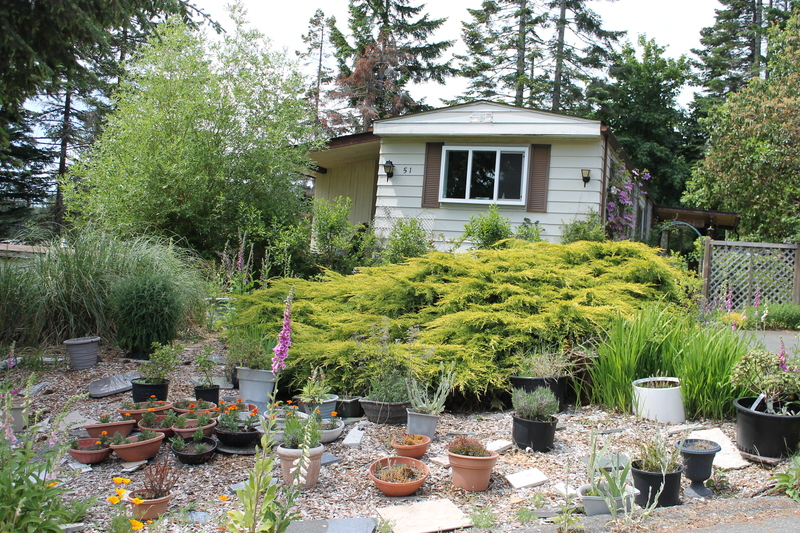 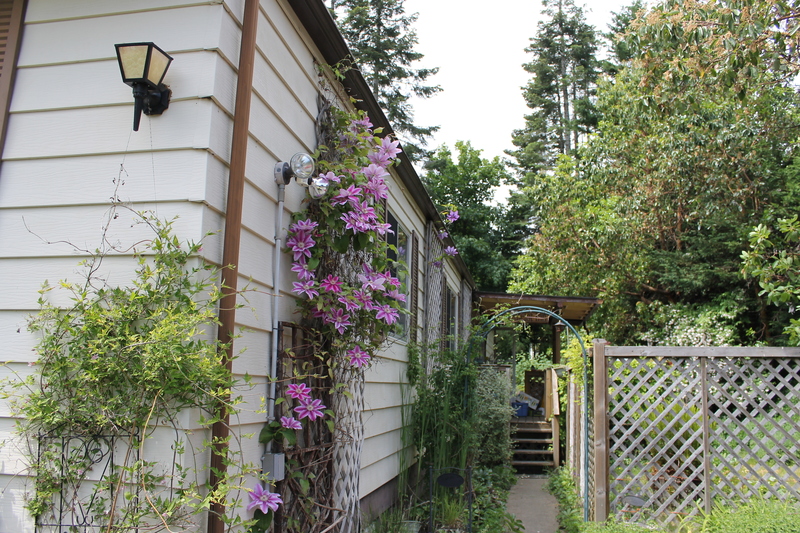 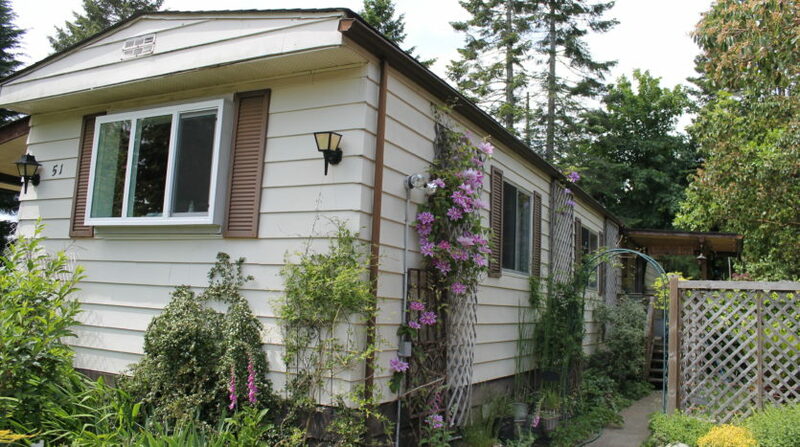 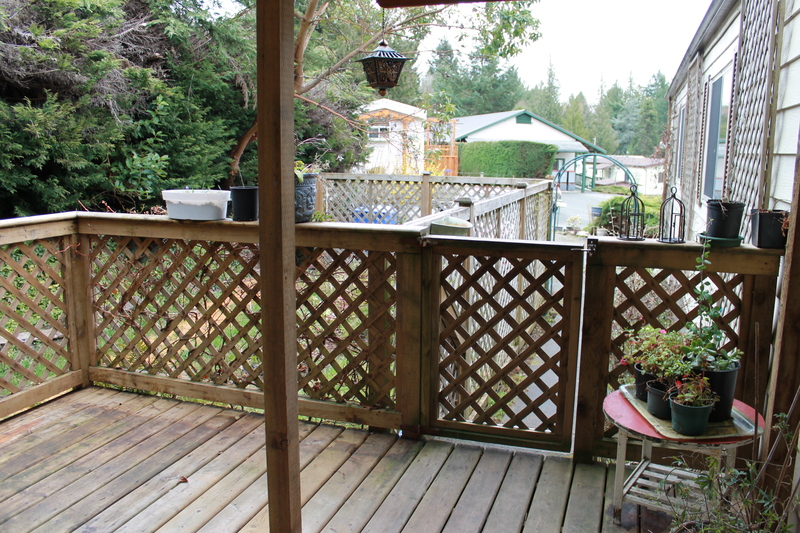 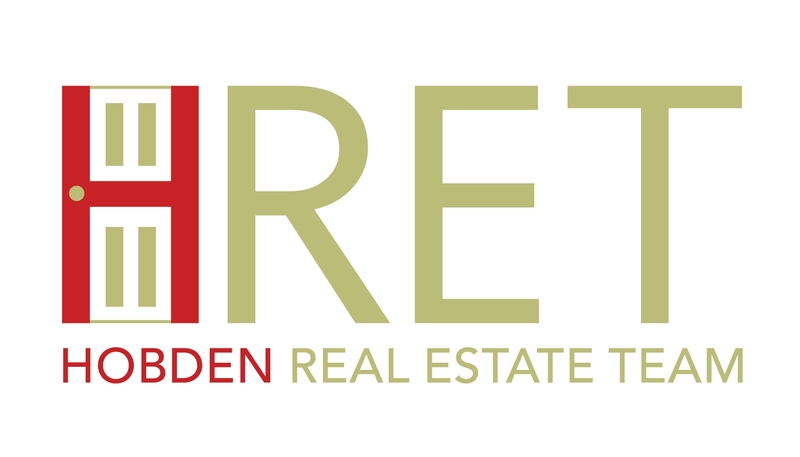 Outside there are 2 newer private decks as well as a large lot with a patio area, veggie garden patch and a garden shed. 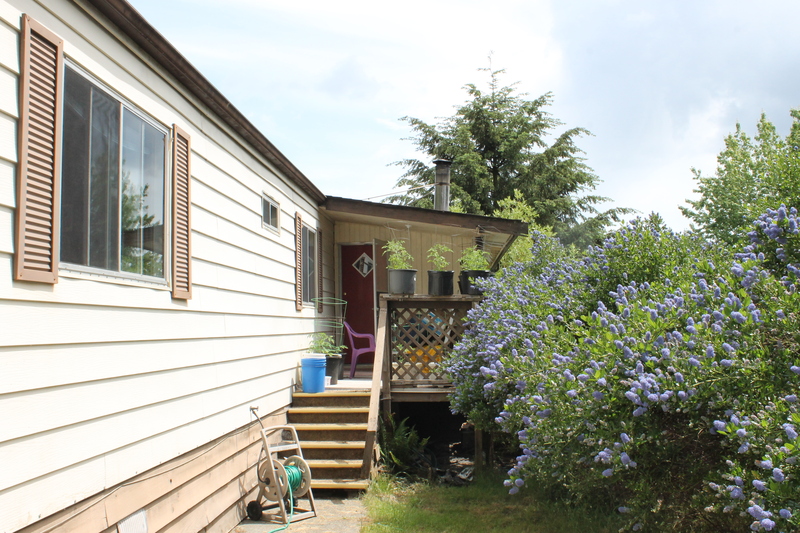 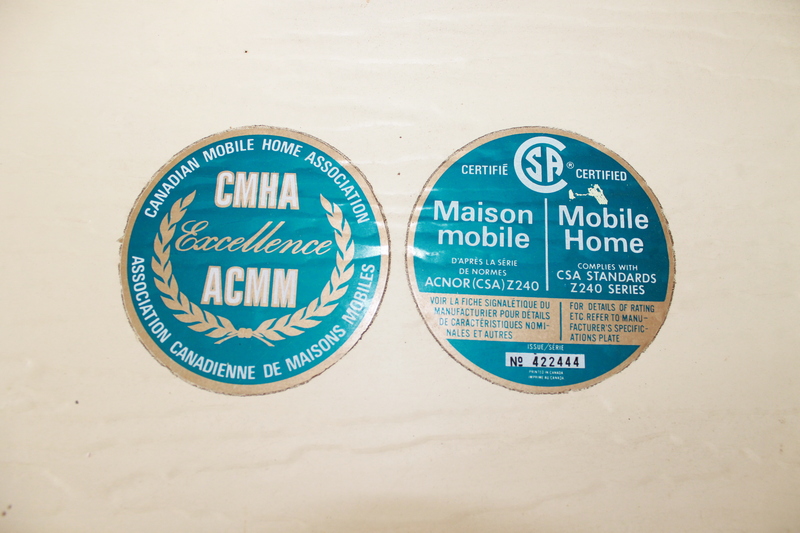 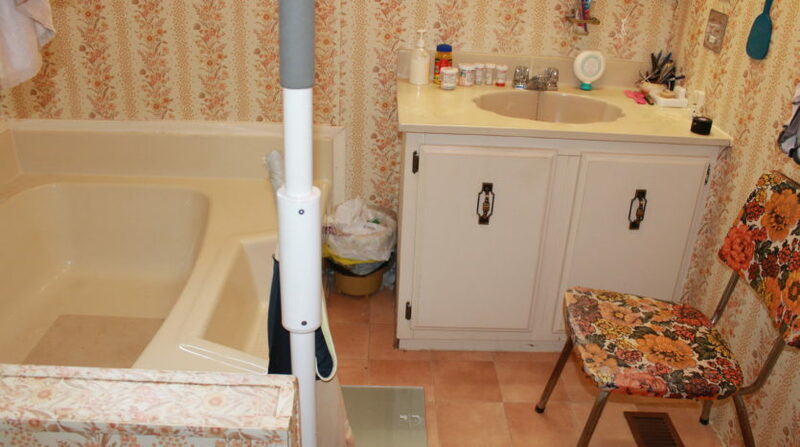 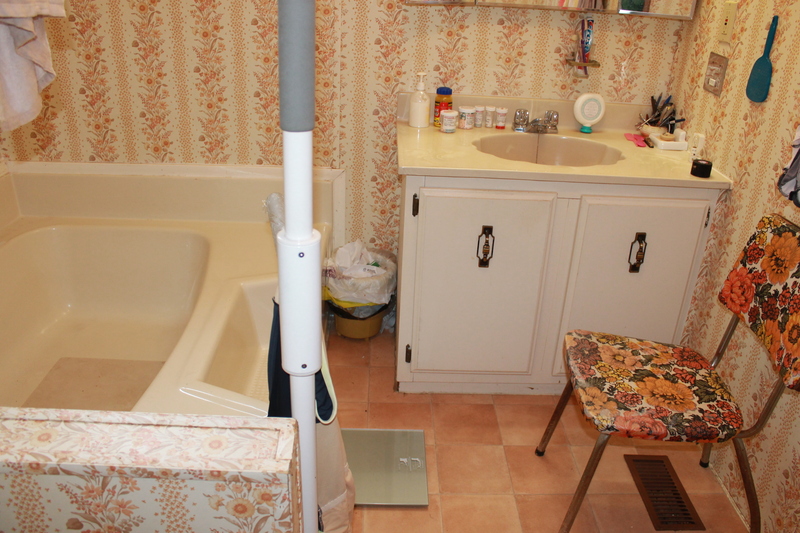 Brand new roof, hot water tank, updated plumbing and WETT certificate for woodstove (all 2018). 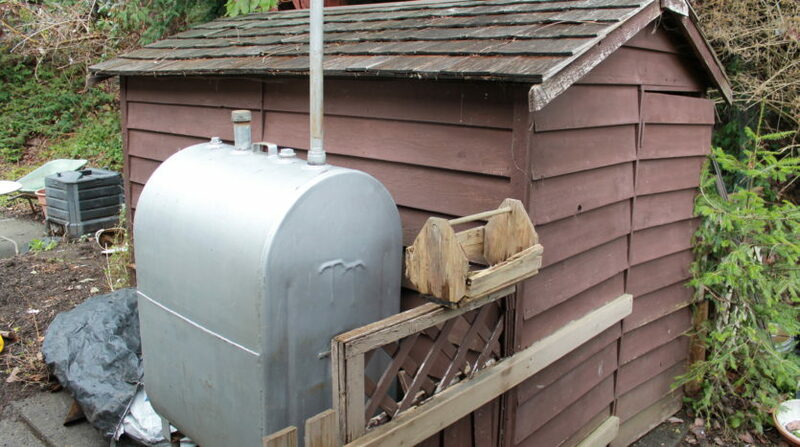 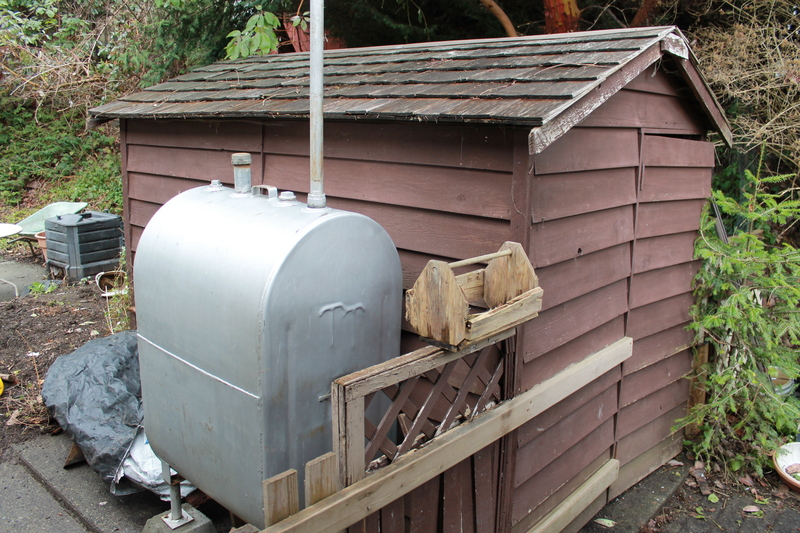 The oil tank was replaced in 2012. 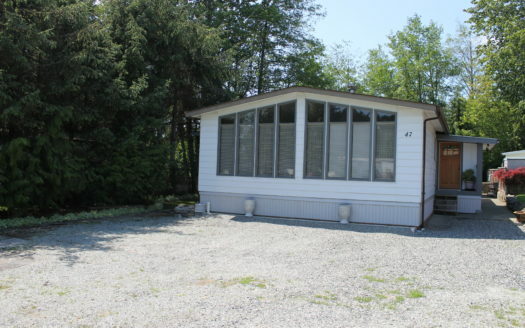 There is parking for 2 cars and the park offers extra storage for your boat or RV. 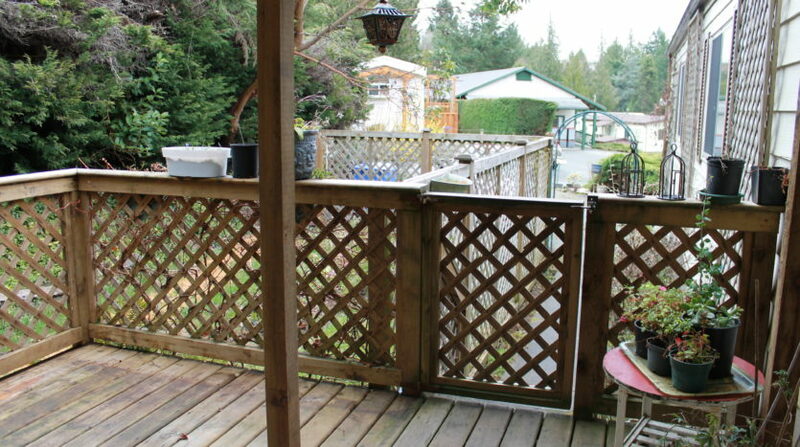 This is a pet friendly park and is close to the walking trails by the quarry.